How much of the beauty of life do we miss in the rush of the day? In the rush of our thoughts? Most of us have many things and people trying to get our attention all day. We handle all the requests the best we can. But at the end of the day, we can feel frazzled and scattered when we do not stop to fully BE in our moments. 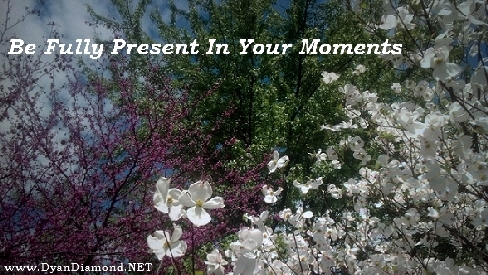 What does it mean to be in our moments? It means to take pause and take a conscious breath. To open up our hearts and our eyes and really take a look around. To enjoy the little things as they come into our lives. A gentle rain shower. A beautiful tree. A wonderful work of art. An interesting article. A gorgeous smile. It means to take it in and appreciate it. To pay our full attention to the lovely things and people around us. Being fully present is living from our hearts. Seeing from our hearts. And experiencing life from our hearts. It is truly a beautiful way to travel. Take a moment today to open up and look around you for all of the beauty you might have missed.